Conneqtech is joining forces with AXA Bike Security to make your e-bikes connected. A Connected E-bike is equipped with a range of functionalities and advantages for clients. 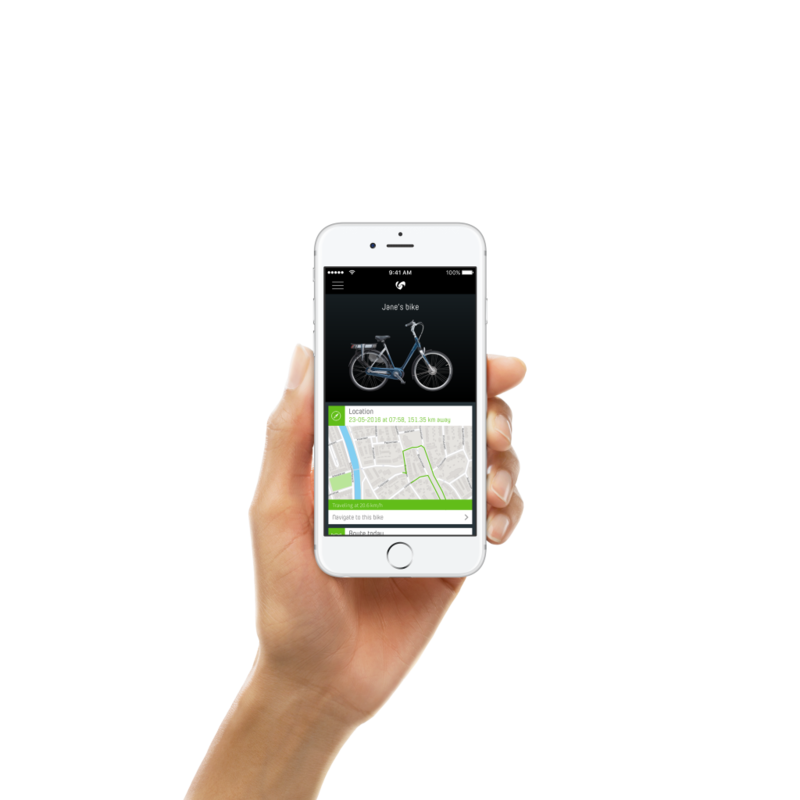 The bicycle can be followed live, traced, insured, and protected against theft using a personalised app. In addition to theft prevention, the app also serves as a personal cycling diary. That includes things like kilometres cycled, calories burned, and the Co2 emissions saved. That data can also be shared with followers in the app. Thanks to a Connected E-Bike’s security features, you can now offer clients competitively priced insurance. The data insights are truly valuable for bike dealers and manufacturers. Based on combined data analyses of things like the number of kilometres cycled, battery performance, and service intervals, it is possible to make informed decisions or make investments with actual data at the foundation. Thanks to the Connected E-Bike, a brand stays in contact with the client. That makes it possible to send the client automated messages using our timeline functionalities. That’s done using certain triggers such as the number of kilometres cycled, battery status, or bike age. When a certain number of kilometres have been cycled, the client receives an e-mail and a push notification that the bicycle is ready for maintenance. If the bicycle battery loses capacity, the client will be sent a message telling them it’s time to replace the battery at his or her dealer. The possibilities are endless. These data-driven contact opportunities give you the opportunity to connect your client with your brand for the first time.